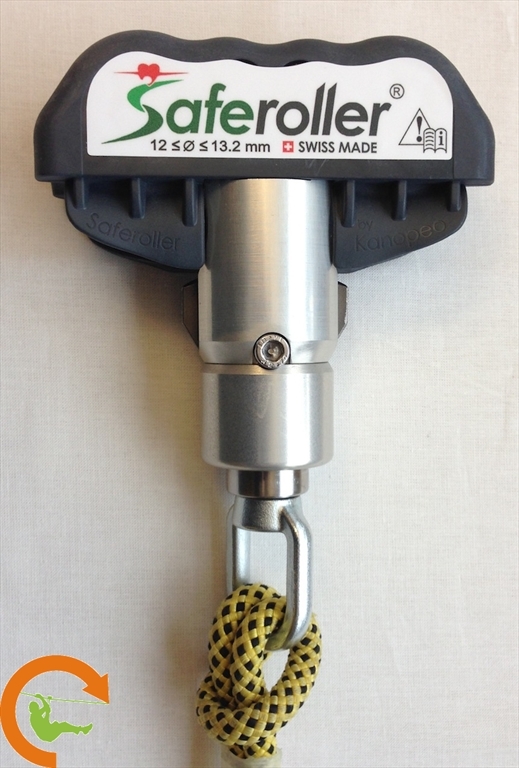 High quality Swiss made Swivel Trolley (teflon wheels) for the Saferoller Continues Belay System EN 795 & 12278. This Saferoller trolley is easy-to-use, intuitive, low-weight, easy-care and even goes through sharp curves. Normal price €225,=. 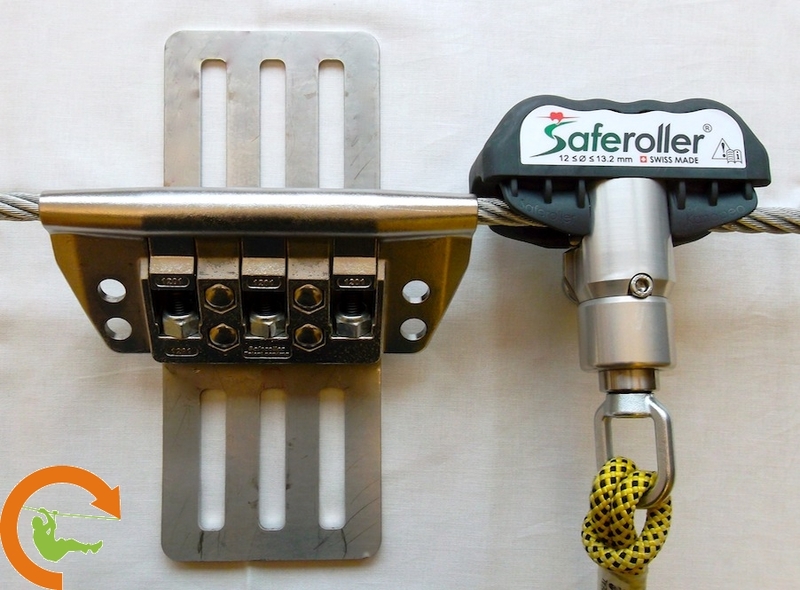 Limited availability, due to introduction new Saferoller Trolley 3.0! 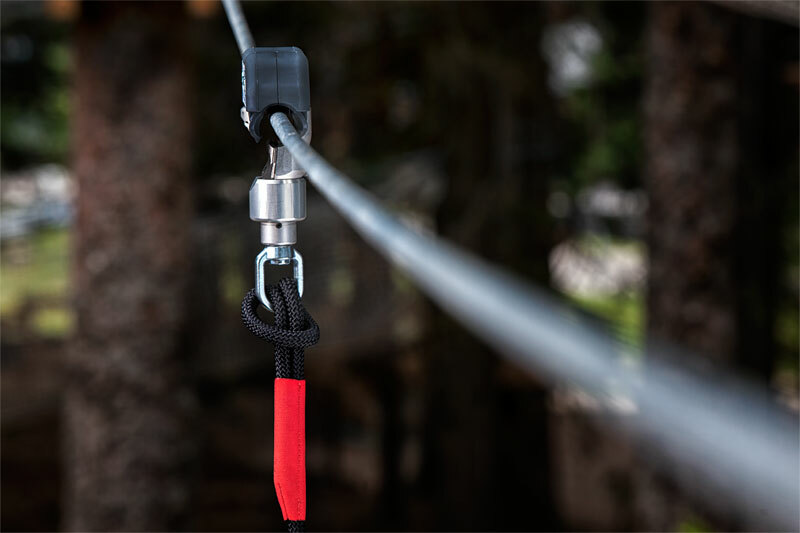 Saferoller Trolley Model Swivel: This “Swiss made” highest quality trolley is, at the same time, a belay and a transport device (additional carabiners and trolley superfluous), which rolls perfectly along the whole lifeline including on zip-lines (no carabiner = no handling necessary). As a result the trolley follows the guests without any effort, which noticeably increases the flow. This Saferoller trolley is easy-to-use, intuitive, low-weight, easy-care (do-it-yourself) and even goes through sharp curves. 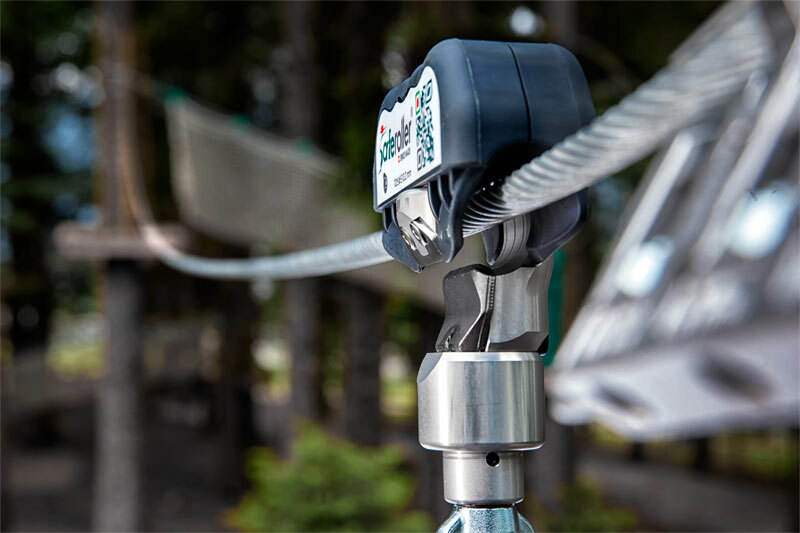 Its special design additionally enables the cable’s withdrawal for evacuations.